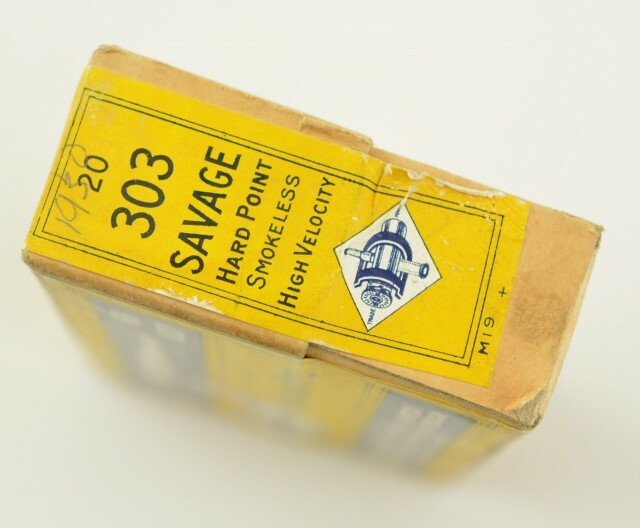 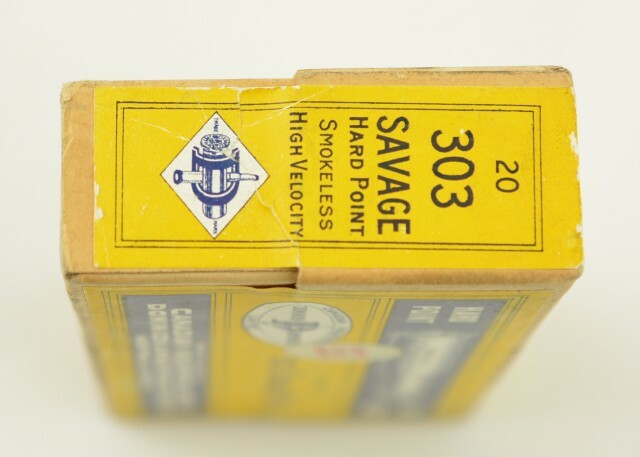 Description: Excellent box of 303 savage hard point from the Dominion/CIL reference collection. This box shows 1930 pencil marked on one end. 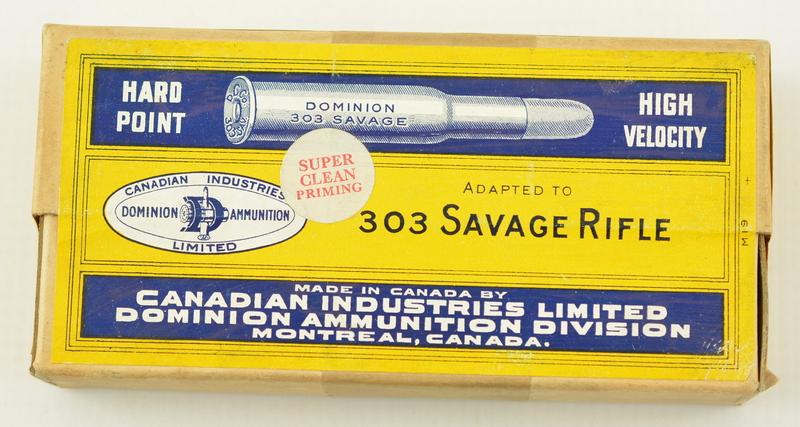 This box shows the Dominion 303 savage hard point bullet on the front face. 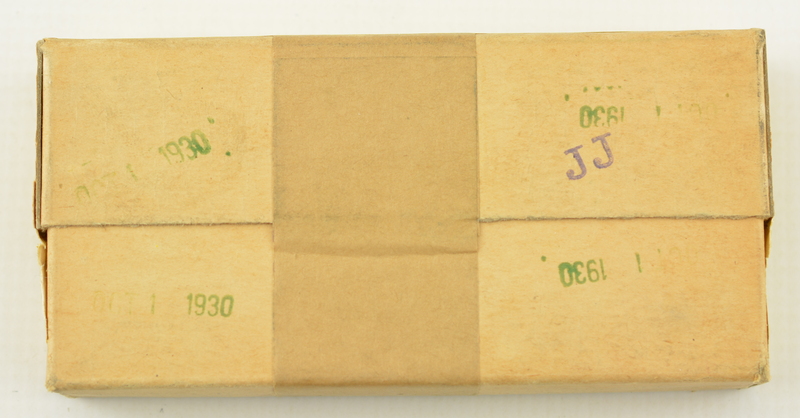 The box remains factory sealed and shows the oval bend D logo and the super clean priming over lay on the front. The reverse side shows a factor seal tape and 4 ink stamps 1930. This box comes from a lot of reference boxes that we acquired in the 1990's from the factory reference collection.